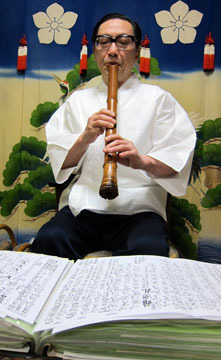 Shakuhachi-Traditional Japanese Bamboo Flute. Traditional Musical Instrument of Japan used for zen Buddhist meditation, classical, jazz&folk music. 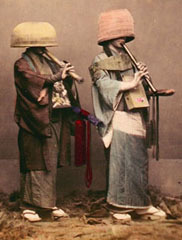 as well as playing classical, jazz & traditional Japanese folk music. 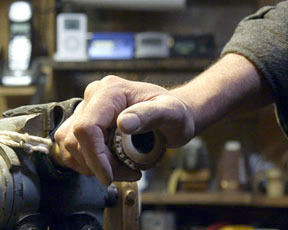 Since 1970 with workshops in Northern California and Tokushima (Shikoku Island) Japan. playing guides, flute craft manuals, books, sheet music, recordings, teachers, schools, organizations, ethnic bamboo flutes around the world and much more. or one of 53 other languages! If you don't see it to the left, reopen this page with a Menu Bar to help navigate the site. Welcome to Tai Hei Shakuhachi What's New . . . See the most recent listings of New Shakulute Headjoint AS-M-77 . 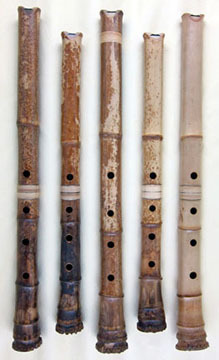 . . New Shakuhachi for Sale - AM-18-712 . . . AM-18-713 . . . AB-20-301 . . . AP-18-809 . . . AT-18-604 . . . AM-24-83 . . . AM-28-12 . . . AM-18-710 . . . AM-13-3 . . . AM-13-3 . . . AJ-26-7 . . .